Please visit our Sites and this site regularly if you wish to receive updates. Your comments are welcome about any of our Sites and this site. However, we will not review or consider any unsolicited creative submissions or suggestions for topics within our newsletters or products. Please understand that this policy is intended to avoid any and all possibility of future misunderstandings in the event that some or any of the ideas developed by us or our staff might appear or seem similar to any ideas submitted to us for consideration. Under no circumstances will we review unsolicited creative submissions or suggestions for topics within our newsletters, audios, videos, products, programs, or content(s). Accordingly, we respectively ask that you do not send us ANY original creative ideas, concepts, suggestions or materials. If, despite our request, you send us any idea(s), concept(s), suggestion(s) or material(s) (“Submission”), said Submission shall immediately become our property both creatively and intellectually, upon receipt. We will not be subject to any obligation of confidence or consideration for any Submission, and we will not be liable or held liable in any case for any use or disclosure of any Submission. In the case that you submit something unsolicited to us, we will immediately and exclusively own all the rights to the Submission worldwide, and we will be entitled to the unrestricted use of the Submission for any purpose we deem necessary, without consideration, compensation, or notification to the provider of the Submission. Given this fact, we again, sincerely ask you to refrain from submitting creative ideas, concepts, or projects to us, especially those that are personal or confidential to your business or yourself. We disclaim all warranties, expressed or implied, including but not limited to implied effectiveness of the ideas, knowledge, experiences, or conceptual strategies listed on our Sites and this site as well as those that are provided in our newsletters, email campaigns, promotions, advertisements, products, and/or programs. The claims, information, data, examples, services, products, and materials on our Sites and this site are provided “as is” and without warranties of any kind, either expressed or implied. The only exception is the guarantees of satisfaction that are plainly and clearly labeled and designated as guarantees in writing on our Sites. Neither we nor any of our respective licensors or suppliers warrant or make any representations regarding the use or the results of the use of our content(s), newsletters, email campaigns, promotional offers, advertisements, products, programs, information, or services displayed or offered on this site in terms of their effectiveness, accuracy, logical design, reliability, or otherwise. Neither we nor any of our respective licensors or suppliers warrant that any functions or functionality contained in our Sites or this site will ever be or continue to operate uninterrupted or without error, that errors and/or defects will be fixed or corrected, or that our Sites or this site or the server or servers that make our Sites or this site available online are free and clear of viruses or any other agents or components of a harmful nature. You (not we or any of our respective licensors or suppliers) always assume the entire cost of all necessary parts, maintenance, servicing, repair, and/or corrective labor and restoration to your system. Applicable law may not allow the exclusion of implied warranties, so the above exclusion may not apply to you. We do not endorse, warrant, service, or guarantee any content(s), products, programs, services, presentations, presenters, claims, offers, coaching, or other products offered on our Sites, this site, or those we link to. We are not a party to and do not track or monitor any transaction(s) between users and third-party providers of products, programs, services, hardware, or software. Under absolutely no circumstances, directly or indirectly, will we be liable or held liable or be responsible or held responsible for any loss or damages caused or alleged to have been caused to you in connection with your use of any products, goods, services, or advice you receive from a contributor, commenter, forum user, or other guest on our Sites or this site, or in our products or in our services. Users of our Sites and this site hereby understand and agree that the content(s), program(s), product(s), information, technologies, and intellectual knowledge displayed, expanded on, illustrated, and/or shared on our Sites and this site are copyrighted. It is an express violation of our copyrights to duplicate, distribute, record, disseminate and/or share our copyrighted or proprietary information in any way, shape, form, or manner whatsoever without our full and express written permission. Any and all unauthorized use or distribution of our Sites and/or this sites copyrights and proprietary and intellectual property rights by you, your wife, your kids, your mother-in-law, your cousins, your family members, your co-workers, your agents, or your representatives is strictly prohibited by law. We will initiate and take legal action to the full extent of the law in order to protect our rights and the copyrights of our Sites, this site, and all of our related content(s). We will pursue full damages as allowed by law if these terms, policies, rights, copyrights, proprietary rights, or our intellectual property rights are violated. The terms “forum” and “forums” and “forum(s) are defined as, constitute, refer to, and mean any and all comment(s), comments section(s), commenting area(s), chat room(s), message board(s), review(s), user review(s), or any interactive service(s) appearing on any of our Sites or this site and includes any and all public and private folders and domains. For purposes of clarity and redundancy, all users and you are herein notified and placed on notice and all users and you understand and agree, we may use in original and/or in edited form as determined by us, any and all comment(s), message(s), post(s), content(s) question(s), posting(s), testimonial(s), story(s), review(s), and any and all other content(s) and/or material(s) posted by you in/on our forum(s), our Sites, and this site in any and all our ongoing efforts both online and offline and including but not limited to marketing, advertising, direct mail campaigns, newsletters, email campaigns, CPA and PPC advertising, SEO and SEM advertising, media broadcast productions, articles, books, commentaries, chat, mobile based text messaging, mobile-app push notifications, product support, forum support, legal support, and/or in any other medium now known or later developed. You also warrant that you own or otherwise control all of the rights to the comment(s), message(s), post(s), content(s) question(s), posting(s), testimonial(s), story(s), review(s), and any and all other content(s) and/or material(s) you have posted in/on our forum(s), our Sites, and/or this site and that the public posting and use of such comment(s), message(s), post(s), content(s) question(s), posting(s), testimonial(s), story(s), review(s), and any and all other content(s) and/or material(s) by us will not infringe on the rights of any third party. Additionally, you warrant that any and all “moral rights” in your posted comment(s), message(s), post(s), content(s) question(s), posting(s), testimonial(s), story(s), review(s), and any and all other content(s) and/or material(s) on our forum(s) have been waived. You Are Not Entitled To Any Compensation For Any Content(s), Any Material(s), or Anything Else of Any Other Nature You May Post in/on our forum(s), our Sites, or this site. Our Sites are expressly non-pornographic in nature, and we have no intent of participating in or delivering pornographic content. That being stated, our Sites and this site may discuss mature topics from time to time. Our Sites and this site may use mature language in stories, examples, and content(s) relating to professional growth, personal growth, life in general, and any other experiences we may otherwise find relevant to our topics and/or modern life. At times the articles, images, experiences, examples, and stories used for illustrative purposes may use mature language, adult language, explicit language or contain other adult themes and/or adult content. Any and all users who are uncomfortable with mature, adult, or explicit language or adult images and themes should not use our Sites or this site. Furthermore, any and all users who are offended by mature, adult, or explicit language or adult images and adult themes should not use our Sites or this site. 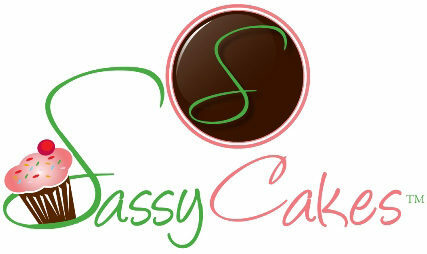 Copyright © 2019 by Sassy Cakes Inc.